Prototype: Swiss Federal Railways SBB CFF FFS Mark IV express train dining car EW IV. The car looks as it did around 2015. Model: The 7319 current-conducting coupling or the 72020/72021 operating current-conducting coupler can be installed on this car. The car has adjustable buffers. Length over the buffers 26.4 cm / 10-3/8". DC wheel set E700580. 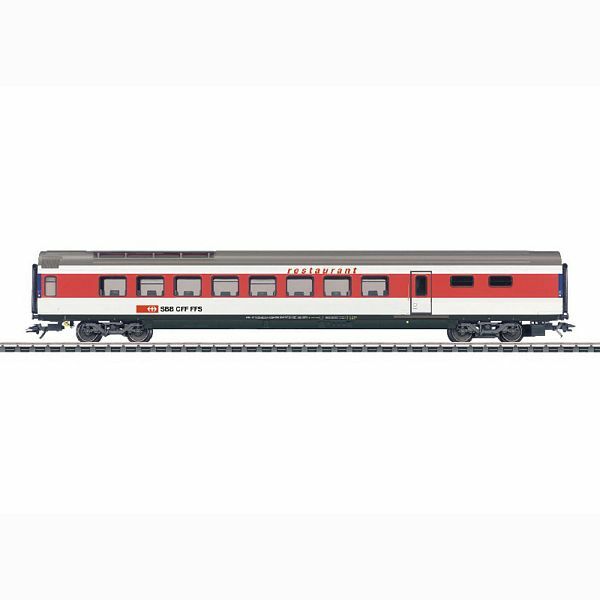 This dining car goes with the express train passenger cars, item numbers 42152 and 42160.